Each year we collect seeds from our collection of Northwest Cultivar Group (rockii) tree peonies. You can order them from our website or send us $12 to receive 25 freshly harvested in late August. (Price includes postage.) 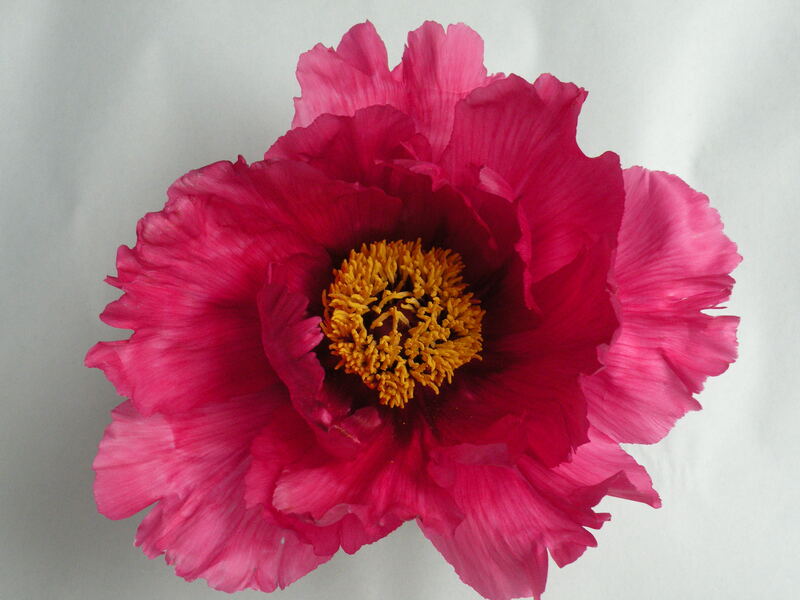 We also have limited numbers of other peony seeds for sale. Please see our website for full information. Get your requests to us soon, we can only provide seeds a limited number of seeds each year. 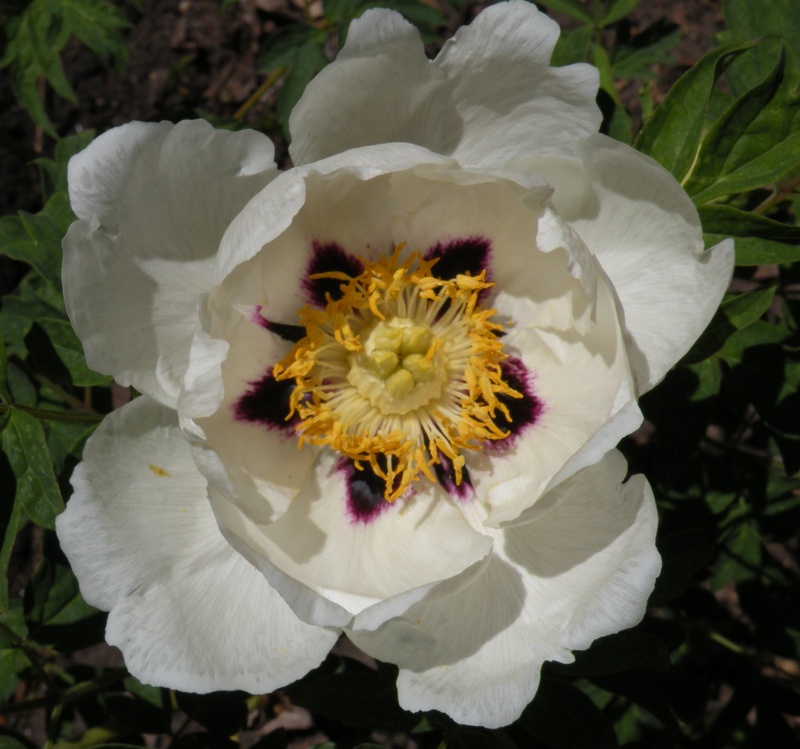 Many of the seeds of Northwest Cultivar group p.rockii tree peony hybrids will yield plants which will produce these beautiful white flowers with maroon flares (blooming in about four years). This flower form and color is very similar to the wild species P. rockii. Late August to early September will be the time to collect this year’s peony seeds. The vast majority of peonies yield viable seeds so if you left the pods on the plant all summer, try your hand at raising a crop of peonies from seed. 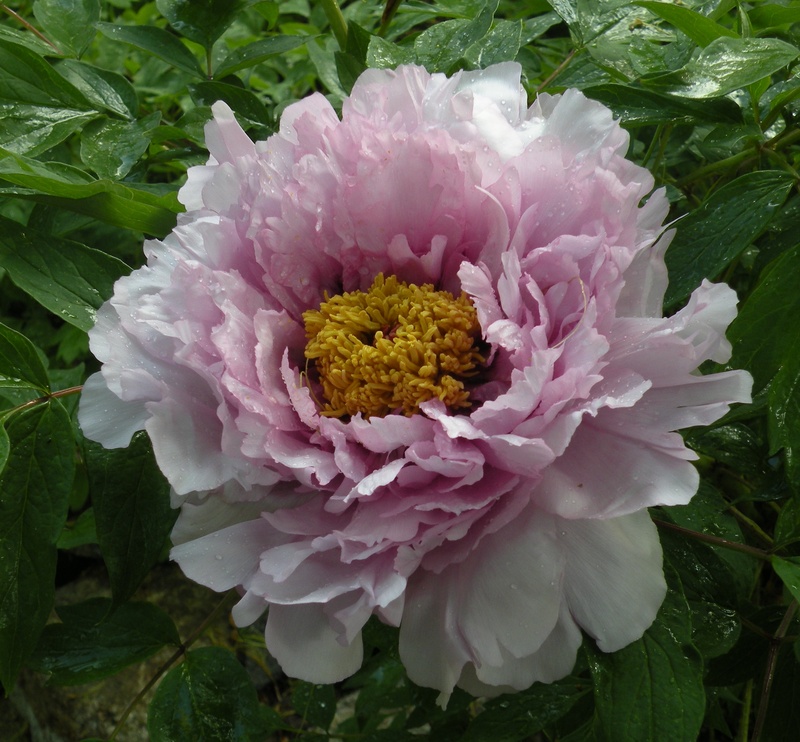 Peonies raised from seed do not come true to the parent plant, though they may strongly resemble it. 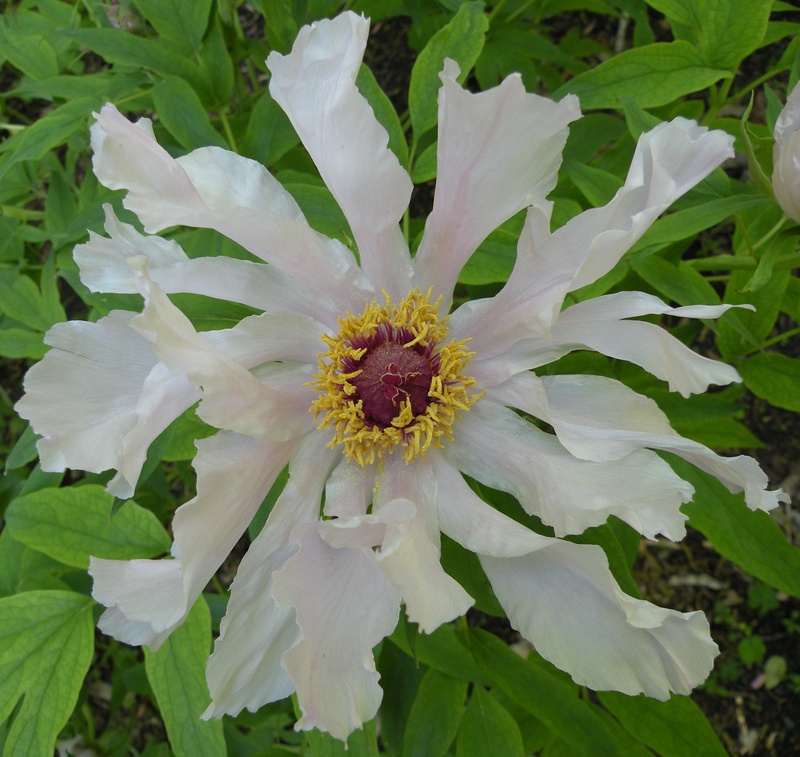 Almost all cultivated tree and herbaceous peonies are hybrids far removed from their wild species ancestors. The exception to this rule are seeds collected from a single species of peony which did not cross pollinate with other peonies. 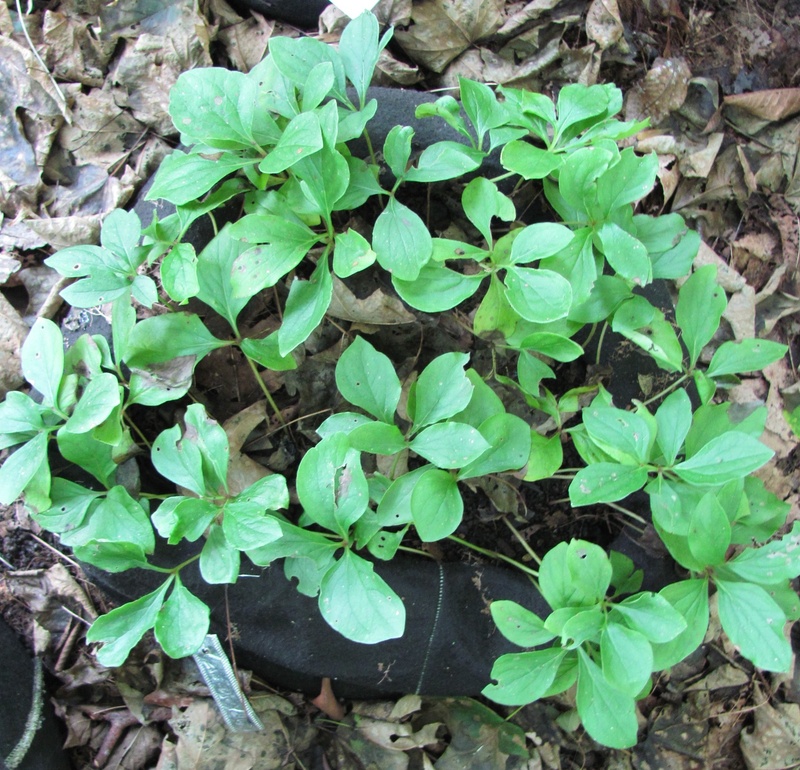 Intersectional hybrid (Itoh) peonies are sterile and do not yield viable seeds. Unfortunately some garden favorites like the advanced herbaceous hybrids ‘Coral Charm’ and “Lois’ Choice’ are also infertile. 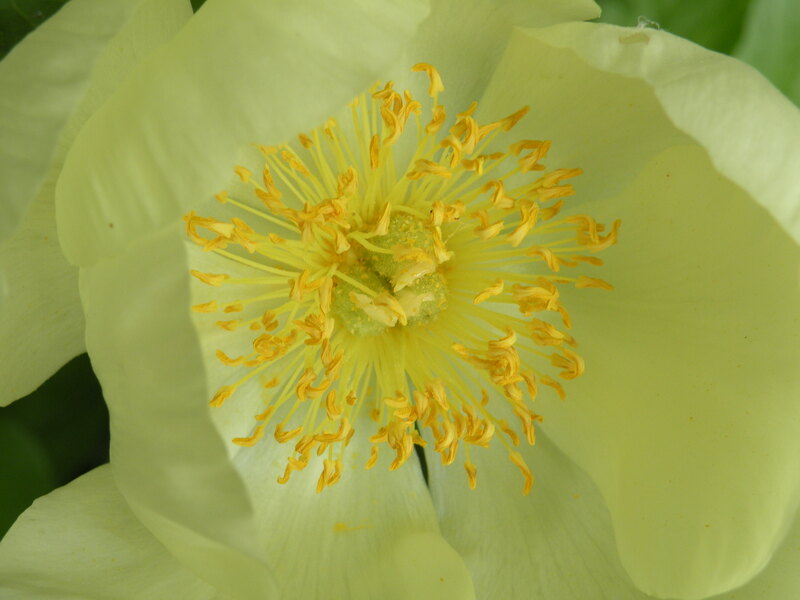 Most of the European and American ‘lutea’ hybrid tree peonies like ‘Leda’ or ‘High Noon’ very rarely produce viable seeds. 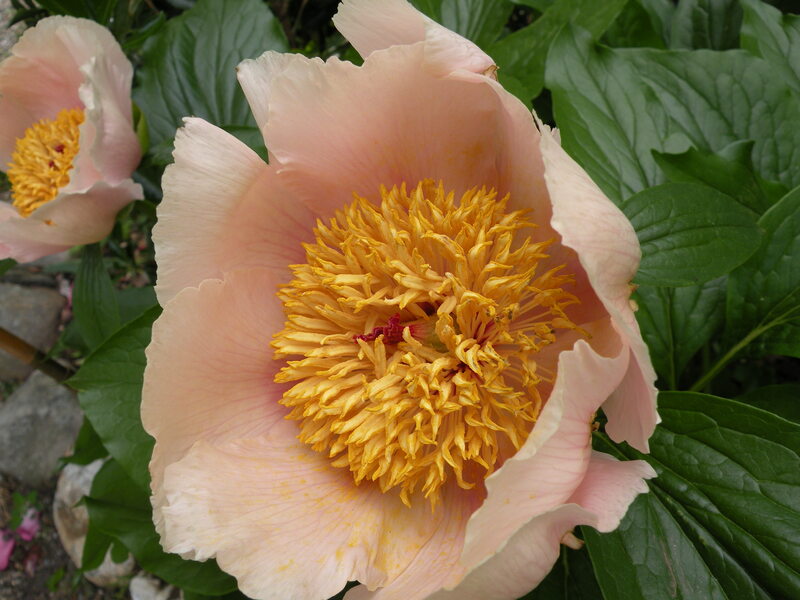 However, these are but a very small subsection of the peony world, the overwhelming majority of Chinese and Japanese tree and herbaceous peonies all yield large quantities of fertile seeds that will soon be ripe for the picking and planting. 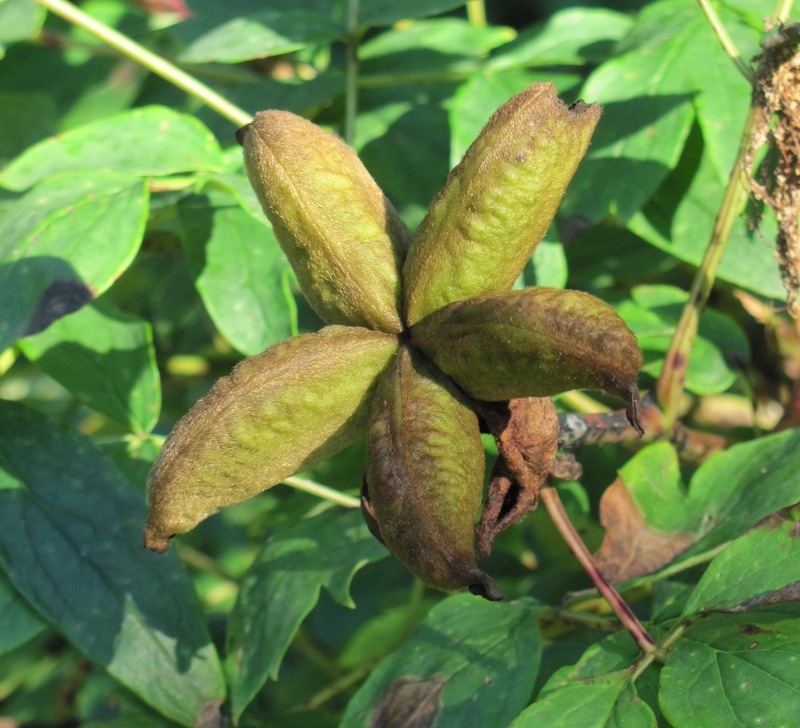 Right now the beautiful star shaped pods are swelling and beginning to turn from a leathery green to brown in color. 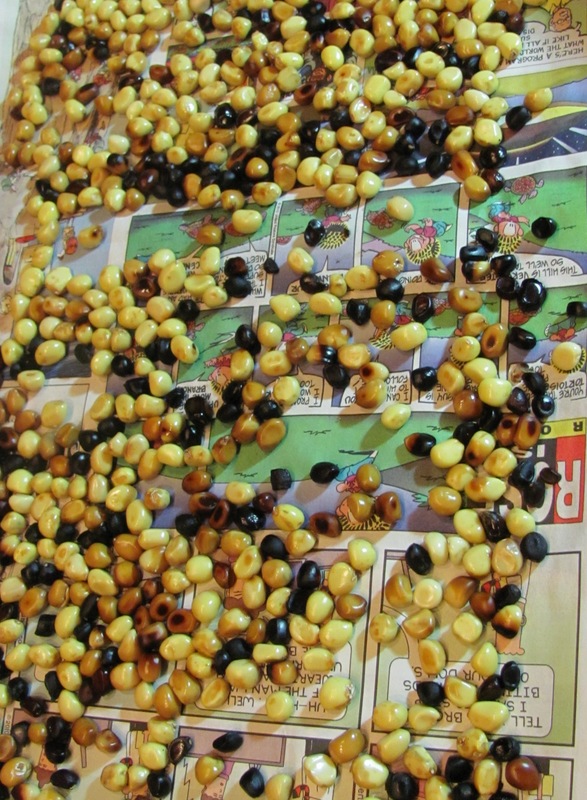 Seeds are ready to be harvested when the seedpod has turned a dark tallow-brown. We generally harvest our tree peony seeds here between the 3rd week of August and early September. 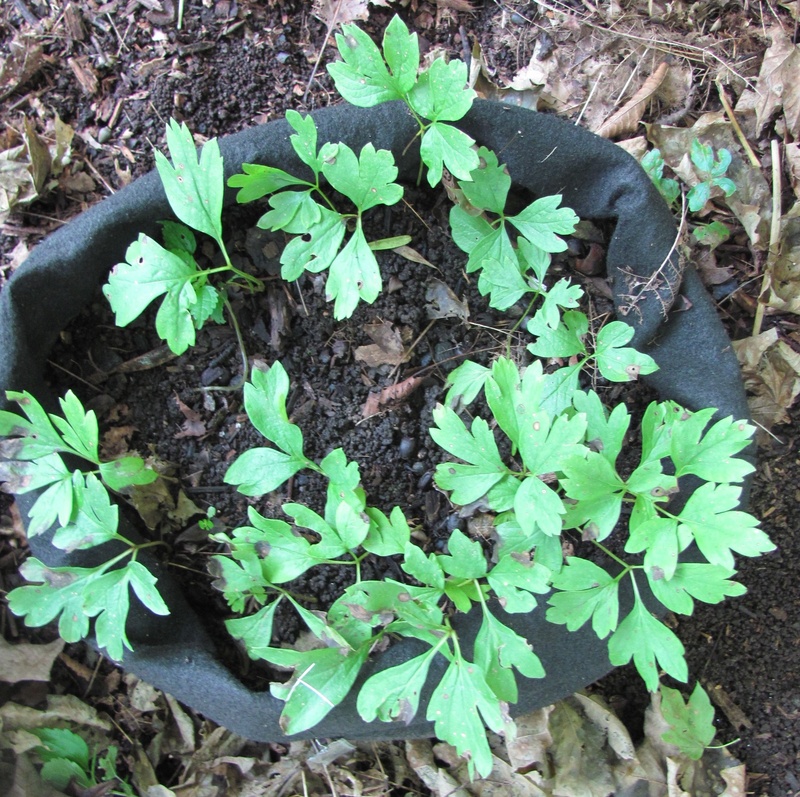 A good seed producing tree peony can yield over 50 seeds per pod. The herbaceous seeds are ready a bit later, around the end of August. An almost ripe herbaceous peony seed pod. 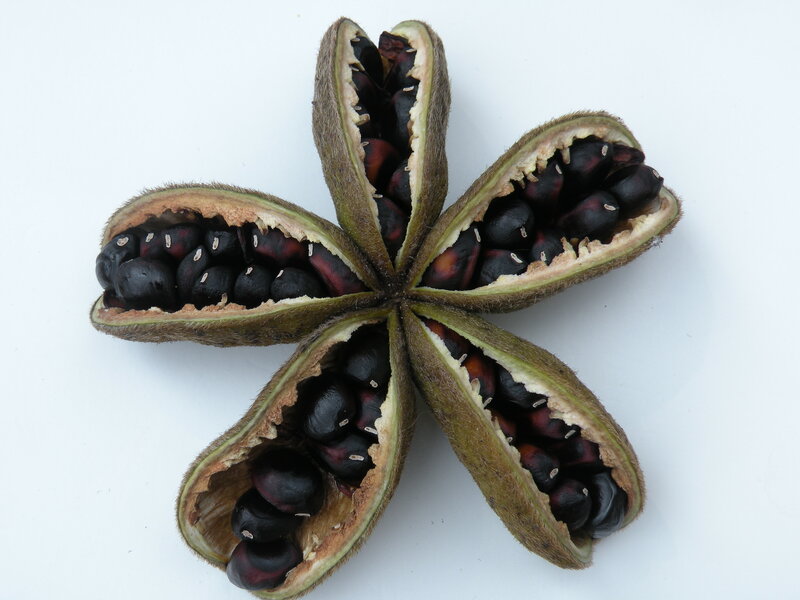 When the seed pods have become a dark brown color and are just beginning to crack open, the seeds are ripe and ready to be harvested. 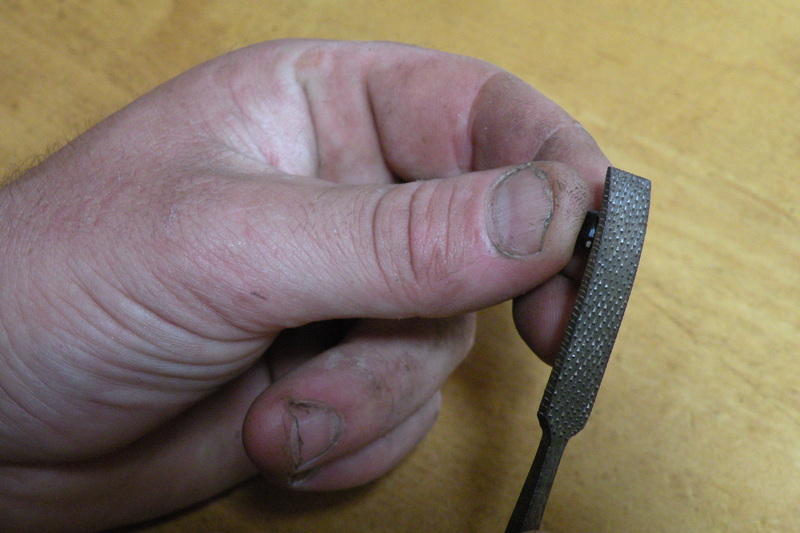 Open up each segment of the seed pod carefully and remove the seeds. 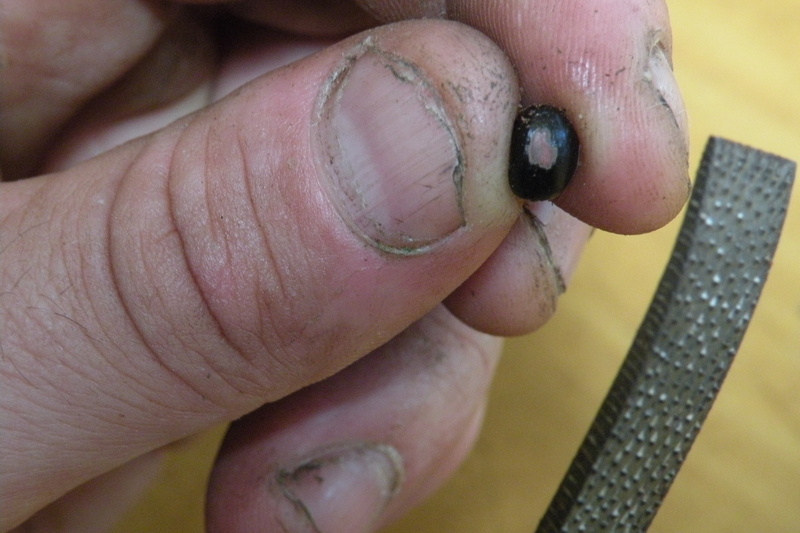 Damaged seeds will not germinate. 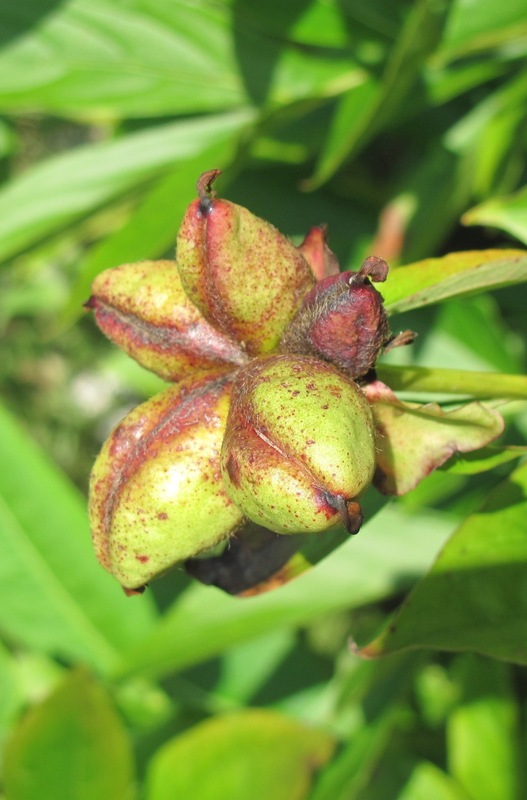 When fully ripe, peony seeds develop a double-dormancy which consists of a hard outer seed coat and dormant embryo. 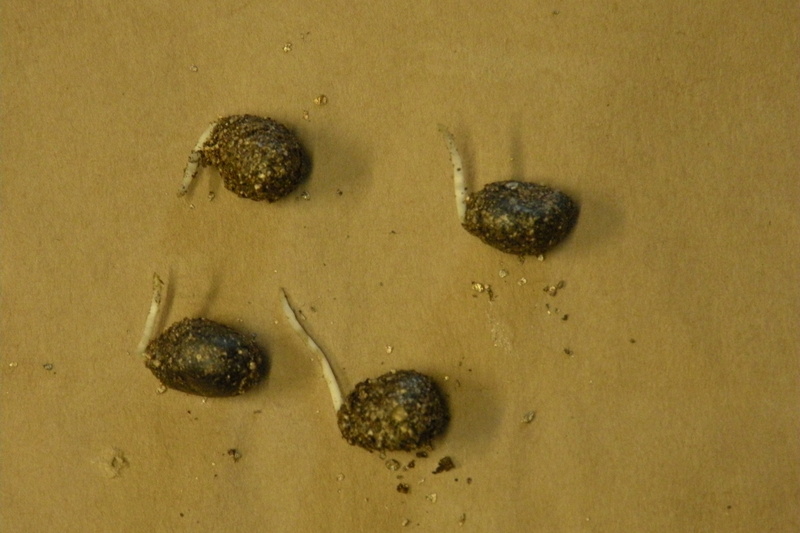 Germination occurs when air and water are able to penetrate the seed coat and reach the embryo. There are many different methods for starting peony seeds. 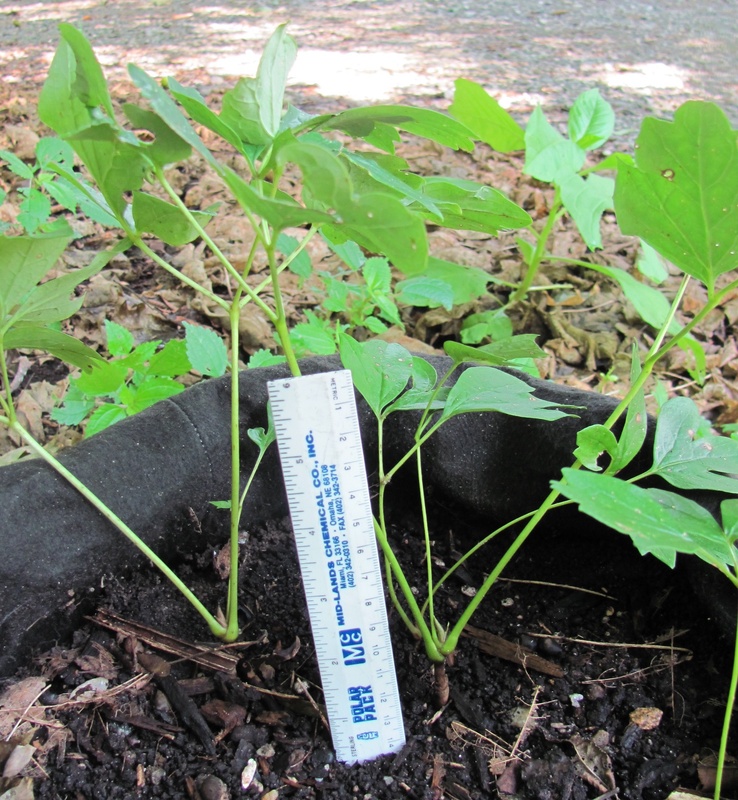 Some are determined by the natural condition of the seed, that is the level of dormancy while others are decided by the grower, primary weather to germinate the seeds outdoors or indoors. 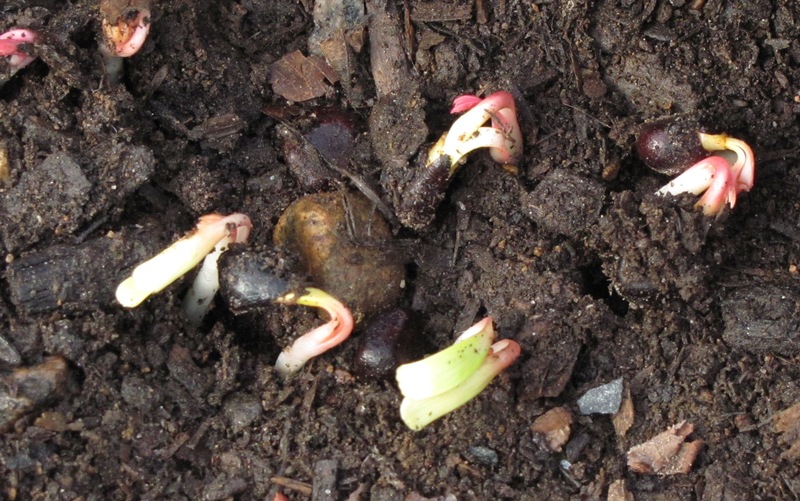 Freshly harvested seeds may germinate in the same season (in the late fall) and sprout the following spring as a small green shoot above the soil. Directly planting dry seeds with a hard and dry seed coat may need two growing seasons to naturally overcome the double-dormancy. These seeds shown below are harvested a little too soon. We have learned that it is better to wait to harvest brown and black seeds, otherwise the seeds will easily mold if not cured and somewhat dry. Within each lustrous pearl is the germ of a peony which the world has never seen bloom, and has the potential to awe onlookers for centuries to come. Make the world a more beautiful place, plant some peony seeds this fall. 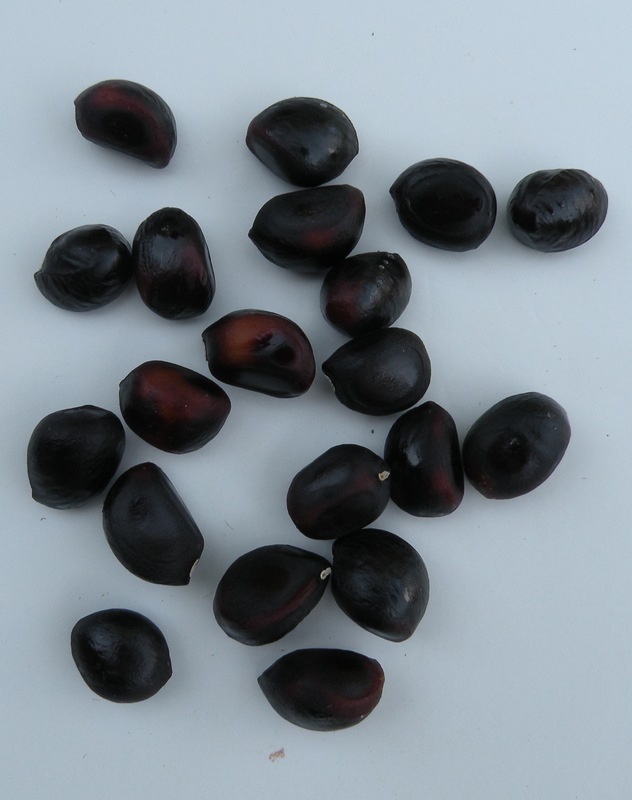 Left to mature seedpods will change to a dark brown and inside the seeds will change to black. The seedpods will also crack open. This is the time to plant the seeds. 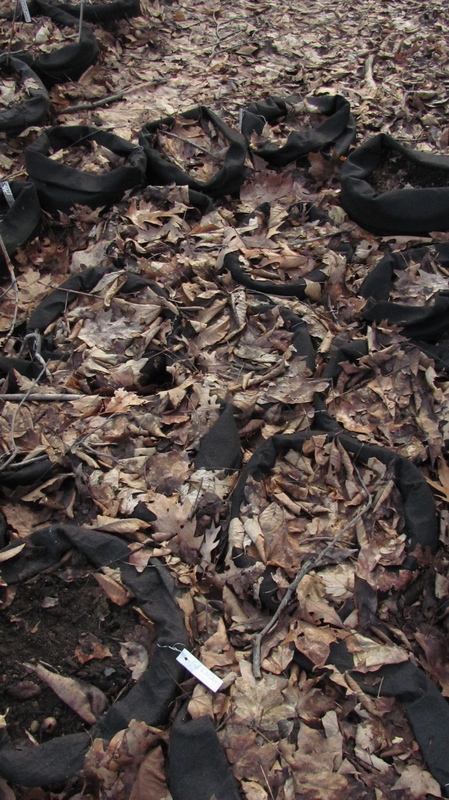 ‘Root Control’ bags planted with peony seeds mulched for winter. New and as yet un-named Peony Heaven tree peony. Bloomed for the first time in 2011. Another new Peony Heaven tree peony.